Temple Terrace, Florida is the smallest of the 3 incorporated cities in Hillsborough County, the other 2 being Tampa and Plant City. The community is located just north of Tampa. The city was founded in 1920 and named after the temple orange which is a hybrid between the common orange and the tangerine, which was first widely grown in the Temple Terrace area. Many of the people who live in Temple Terrace work or go to school at the nearby University of South Florida. The popular Busch Gardens theme park is also located just a mile to the south. Looking for a Temple Terrace pool builder to create the ultimate Tampa outdoor living space for you, your family and friends? we hope you'll consider Grand Vista Pools. 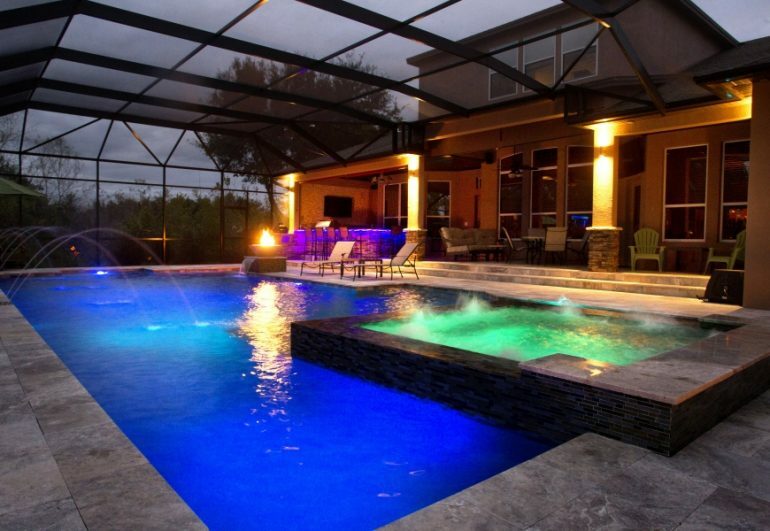 We've been building new swimming pools in Temple Terrace, Florida for decades. One of the things that makes Grand Vista Pools unique is that we are not only an experienced pool builder, but we are also a licensed general contractor. This means we can design and build your entire outdoor living space including any renovations to your home to help tie your indoor living space in with your outdoor living space. Temple Terrace has been around for almost 100 years and has a lot of homes with older swimming pools that need remodeling or updating. We can do everything from basic pool resurfacing to an extreme makeover. Want to add a spa? Water, lighting or fire features? We can do it all! Grand Vista Pools is also an expert designer and builder of Temple Terrace outdoor kitchens. If you can dream it, we can make it happen, from a amazing outdoor grill to a full-service kitchen to a cool outdoor bar.